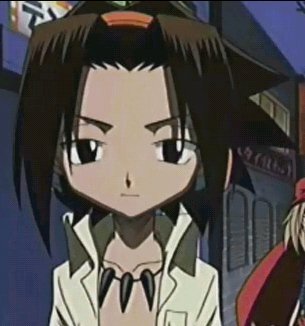 These are pictures of Yoh Asakura, the character of the month for July of 2002! Below is information and pictures of everyone's favorite Shaman. These pictures are property of their respective owners. 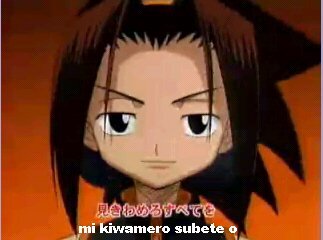 Permission is needed in order to use these picures. Please do not take without permission. 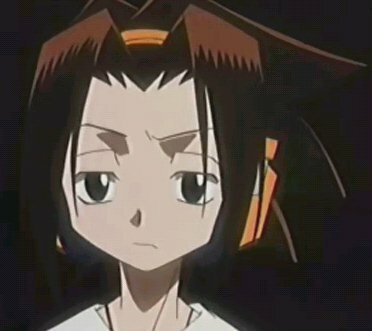 Goal: To be Shaman King in order to live a lazy, relaxed life with his friends. 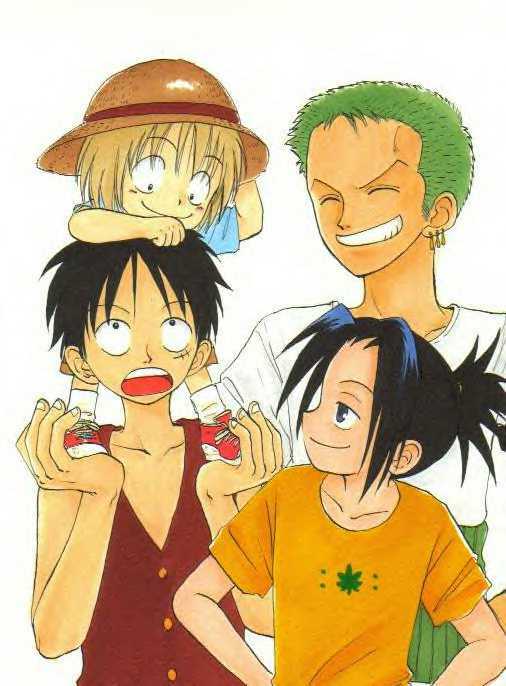 This is a picture of Yoh, Manta, and two of the main characters from One Piece. Yes, that is a marijuana leaf on Yoh's shirt. But no, this site does in no way support the use of drugs of any kind. 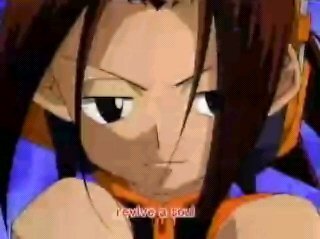 A tiny picture of Yoh. 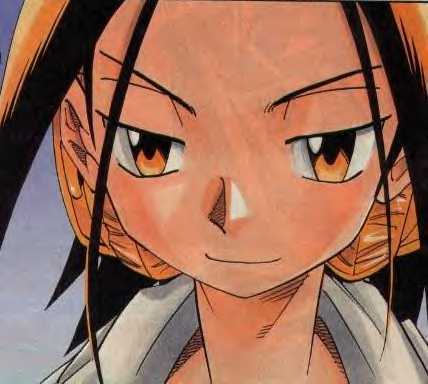 Yoh laughs in the face of danger! Ahahah! 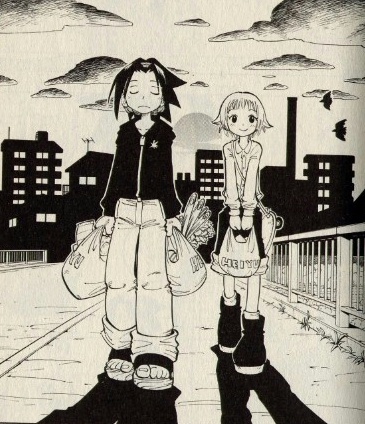 A small picture of Yoh and Anna! Aren't they a cute couple? Why must I work?!!? Aaaaaaaaaaaaaaaaahhhhhhhhh! 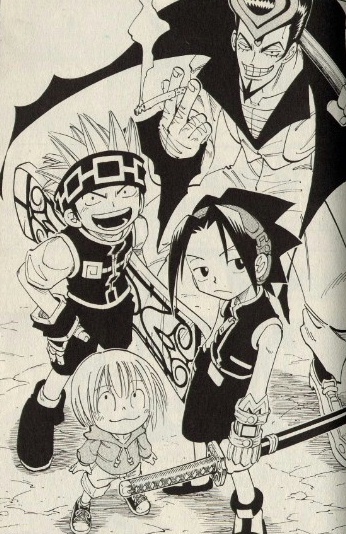 A picture of Yoh, Manta, HoroHoro, and Ryu. He looks kind of angry. Look look! Foreign language!